Last night I had the honor of photographing my friends Juan (better known as Bean) and Sheleen to capture some shots to celebrate their engagement. Sheleen works for the City of YC and Bean is a veteran who was wounded in service (don't kill me for mentioning it but as always, thank you for your service my friend!). Sheleen requested the Sutter Buttes as a backdrop which has always been intimidating to me because I've never done it before. A quick email to one of my favorite brides from last year landed us a lead on a great location and the results are fantastic! 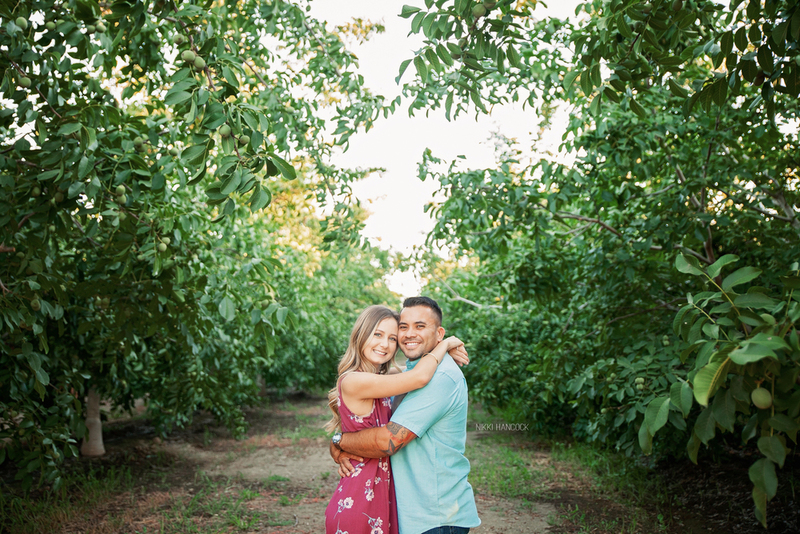 Of course being in Northern California's farm country we HAD to get some orchard shots in as well. Right now the peach and walnut trees are lush and gorgeous and attracting plenty of bugs lol. As always, it's just a hundred times more fun to work with friends on capturing the special moments in their lives. I can't wait for their wedding next spring!